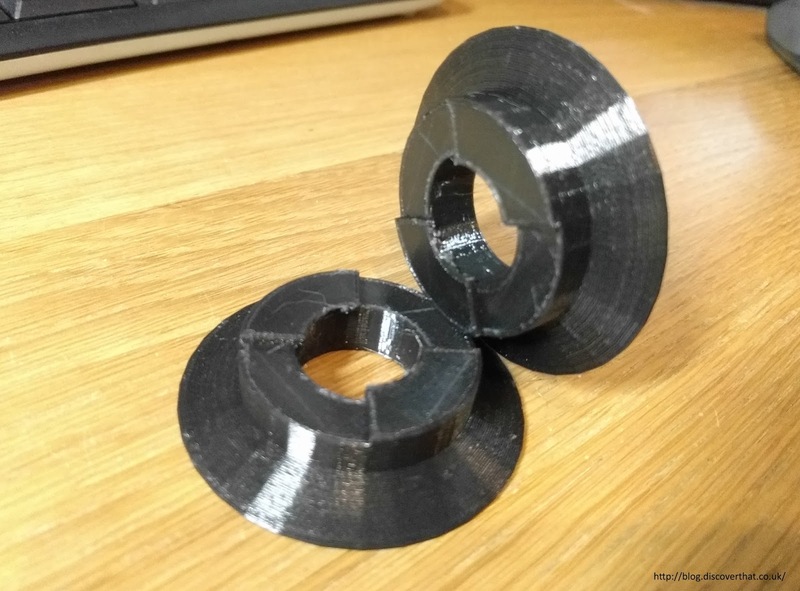 I've now made several static guides for the back of the 3D printer. 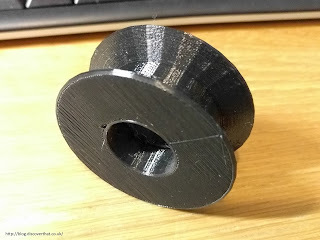 The latest one works but I'm still nervous that the filament will stick causing under extrusion. 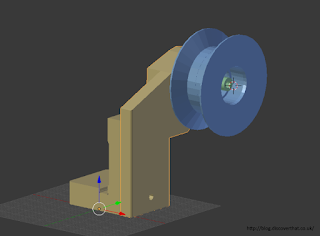 To minimise that chance I've designed a guide that rotates using skate bearings. I'm not claiming this is a new idea. There are loads of such things on both Thingiverse and YouMagine. 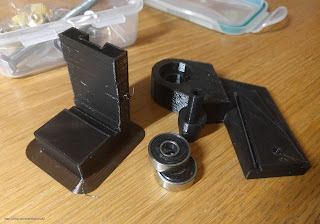 None of those were quite how I wanted them or were fixed in a way I didn't want to do. I'm therefore working on my own. 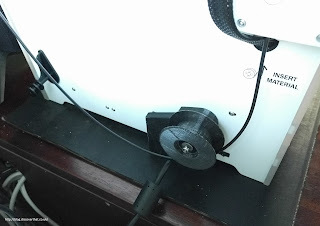 This will hook under the lip at the bottom of the printer next to the power adaptor. 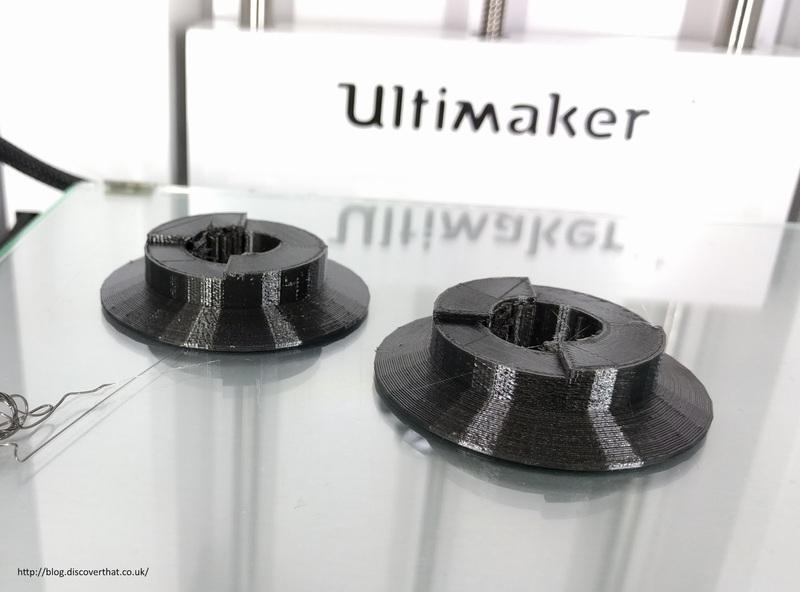 There is no need to utilise any of the existing screws or holes on the Ultimaker. 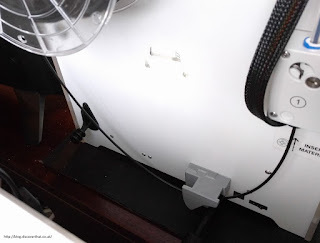 My aim is to minimise the angle at which the filament enters the feeder. I also want very low friction and minimal chance that the filament will slip out of the guide. 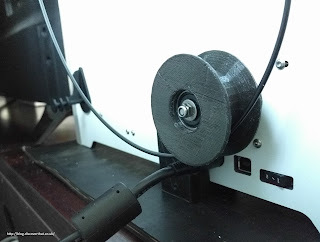 I have also made a spindle for the filament spool.